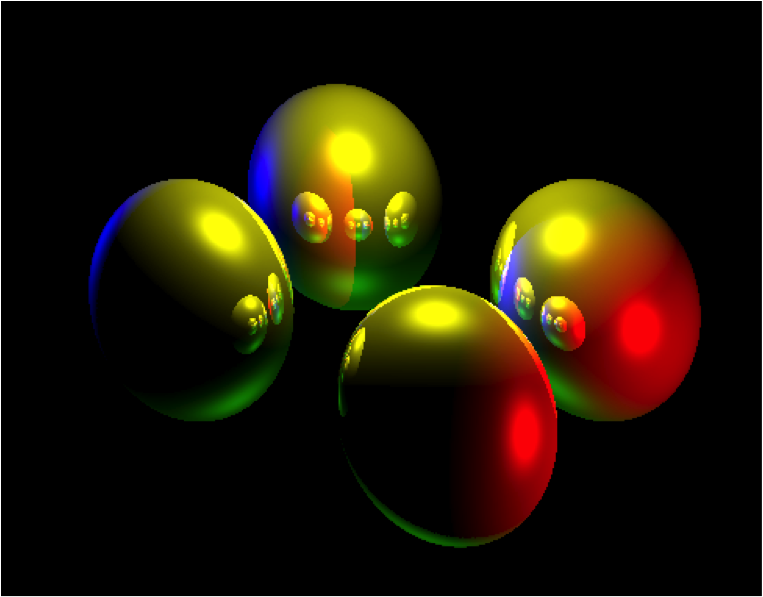 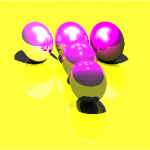 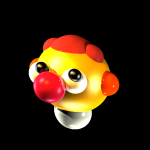 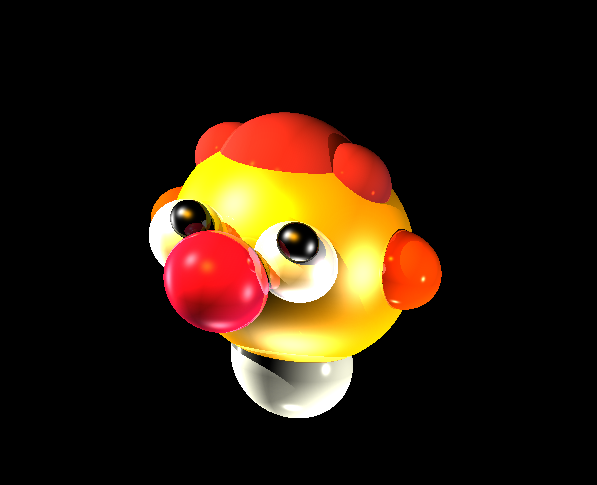 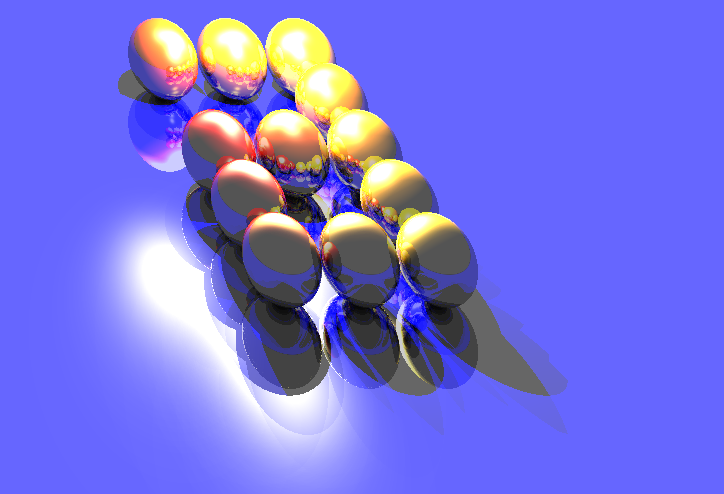 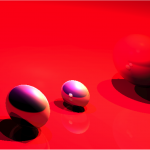 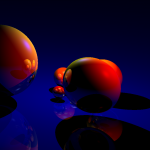 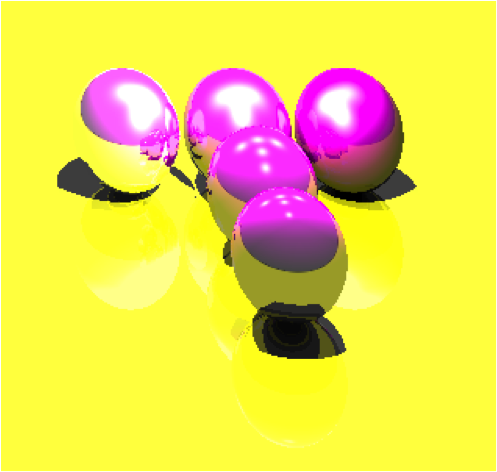 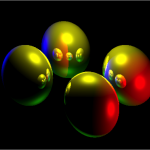 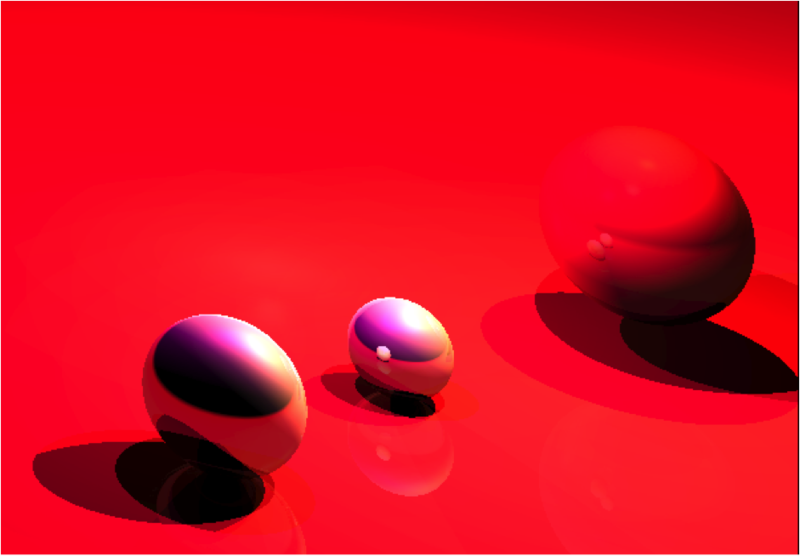 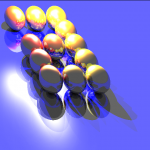 I created a ray tracer that rendered a number of preset scenes, with the user able to vary the camera position and direction prior to rendering, as well as the lighting. 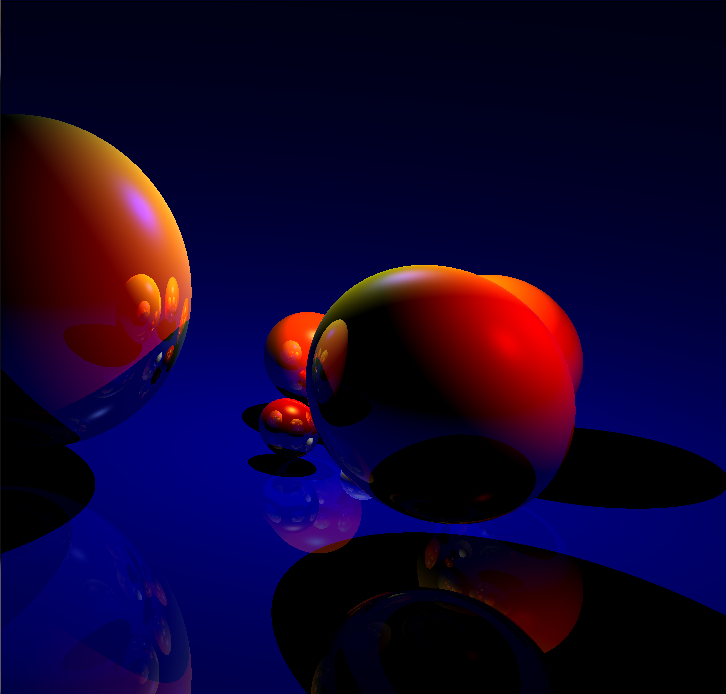 The scenes are all made up of spheres and flat surfaces, with varying material properties of roughness, diffuse colour, specular colour and reflectivity. 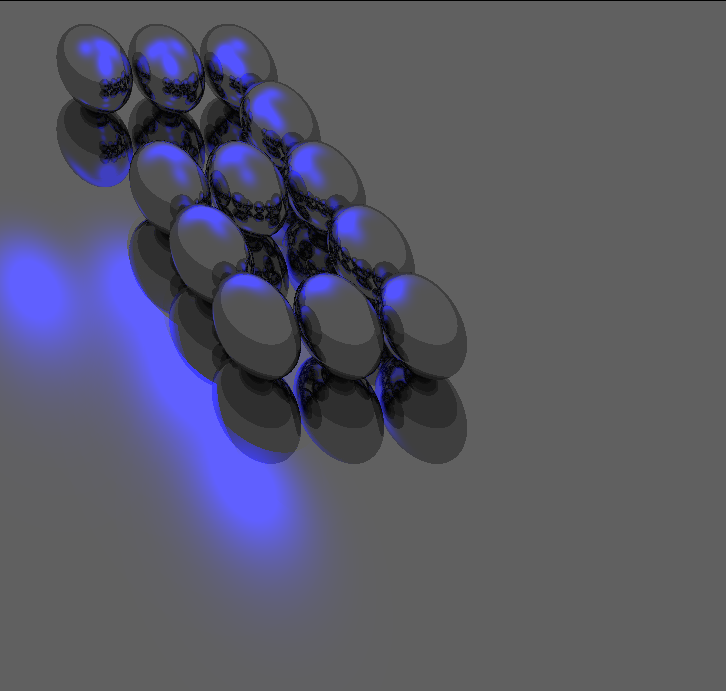 The rendering is deliberately carried out a few rays at a time and can be cancelled during this process.